The MC55N0 Series is the perfect blend of form and function. The comprehensive capabilities allow workers to scan barcodes, snap pictures, view videos and access business critical applications. 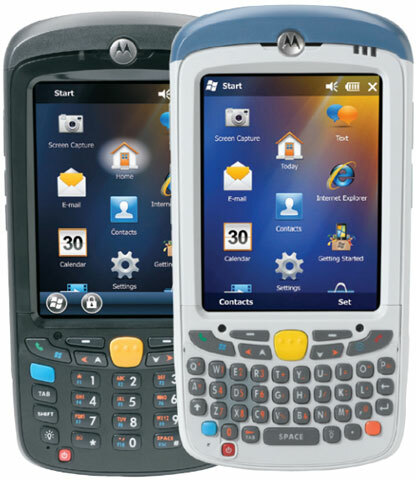 The compact and lightweight mobile computer is easy to carry and easy to use, with a sleek design that is at home in front of customers. 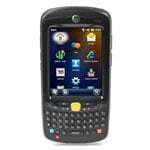 MC55N0, MC:LP,BB,VGA,256MB/1GB,QWERTY, 6.5,1X. Interface cables and charging cradle sold separately. 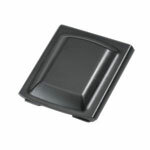 Single slot charging cradle kit (Part# CRD5500-100UES). 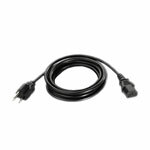 Four slot charging cradle kit (Part# CRD5501-401CES), requires US AC line cord (Part# 23844-00-00R). 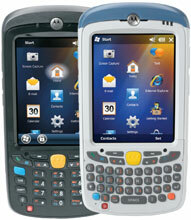 MC55N0, WLAN 802.11 A/B/G/N, VGA Screen, 1D Laser, WM 6.5, 256MB/1GB, PIM KEY, Bluetooth, Extended 1.5X 3600 MAH Battery. Interface cables and charging cradle sold separately. 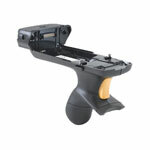 Single slot charging cradle kit (Part# CRD5500-100UES). 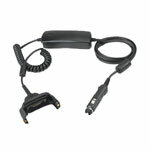 Four slot charging cradle kit (Part# CRD5501-401CES), requires US AC line cord (Part# 23844-00-00R).